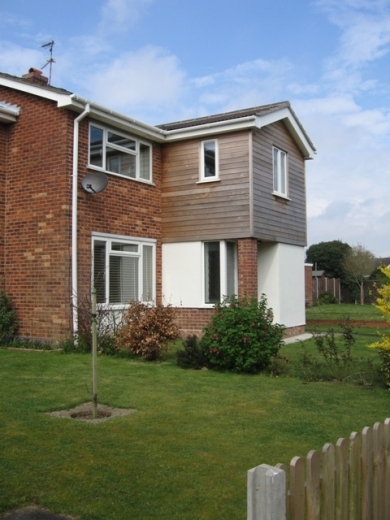 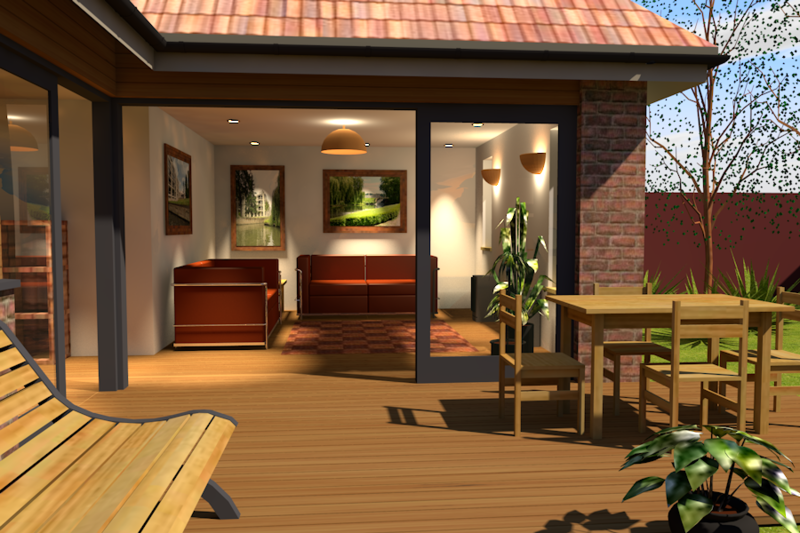 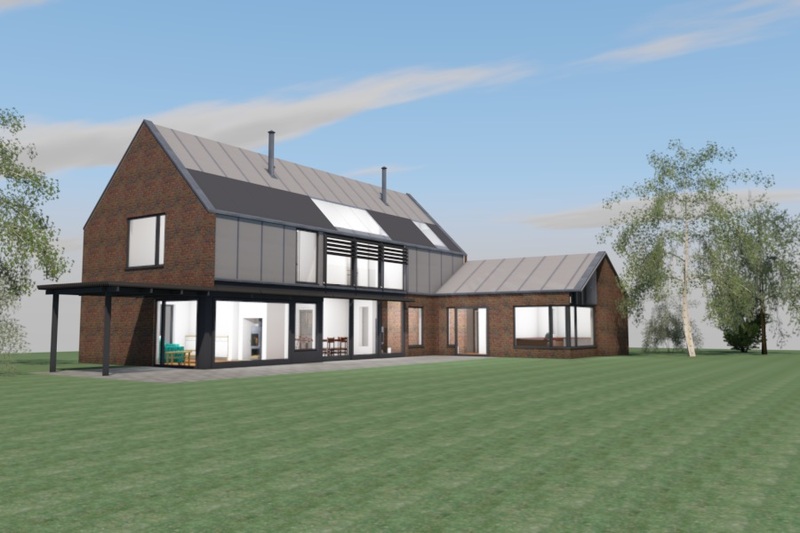 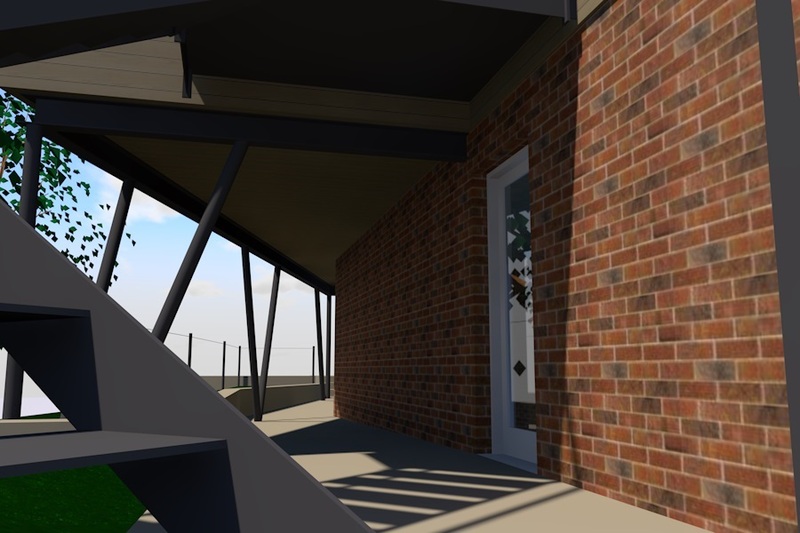 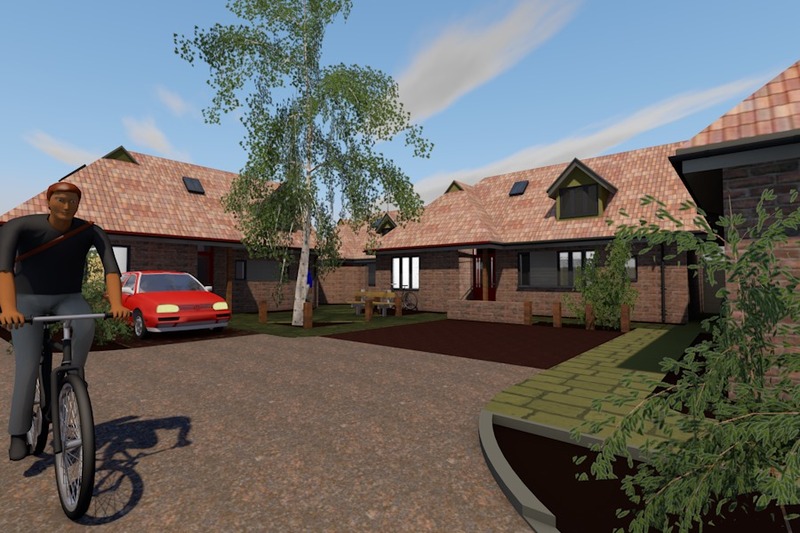 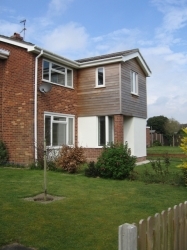 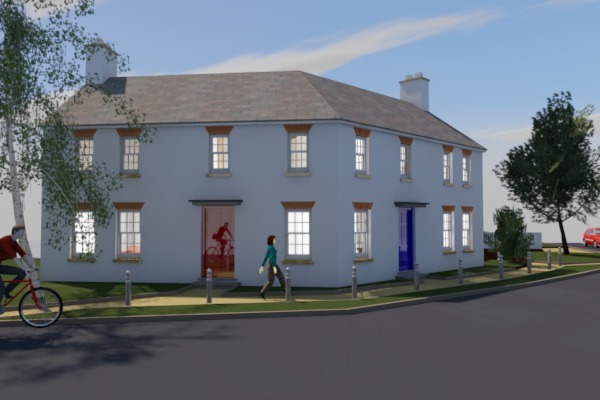 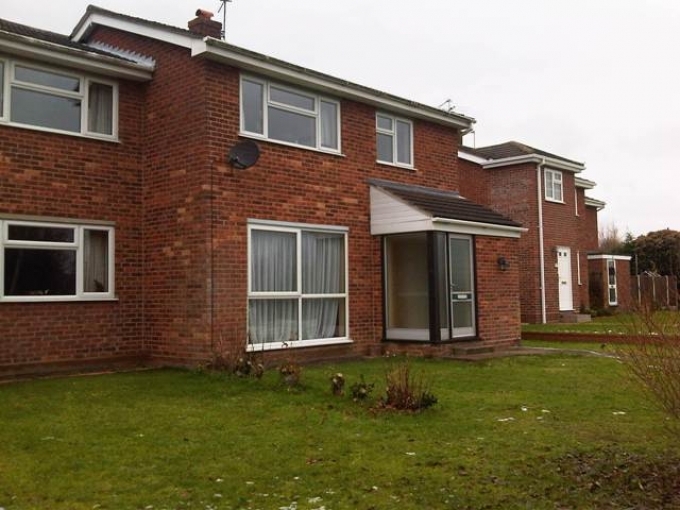 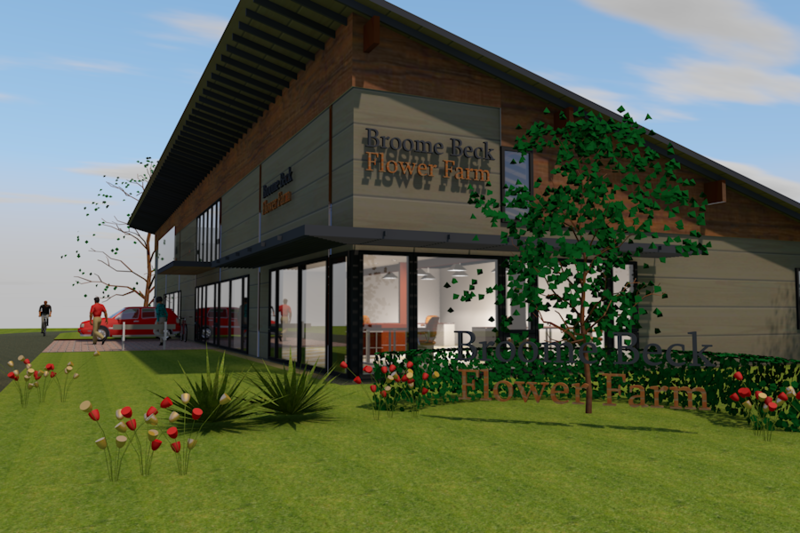 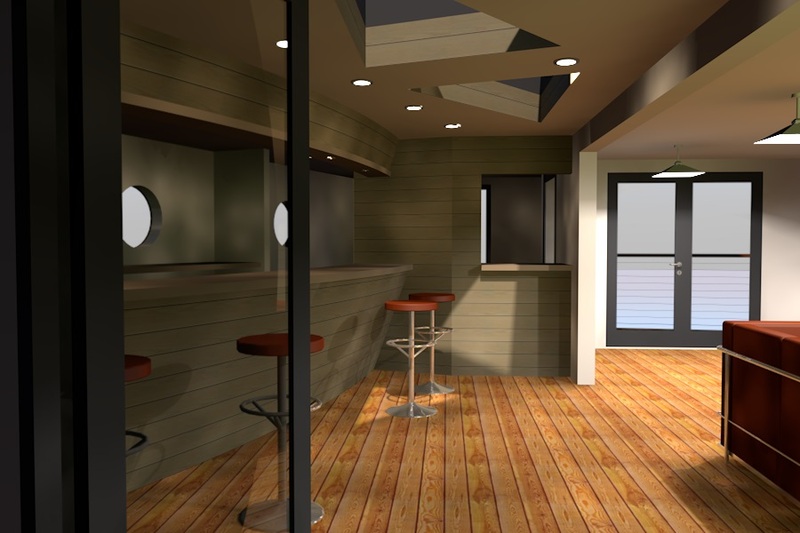 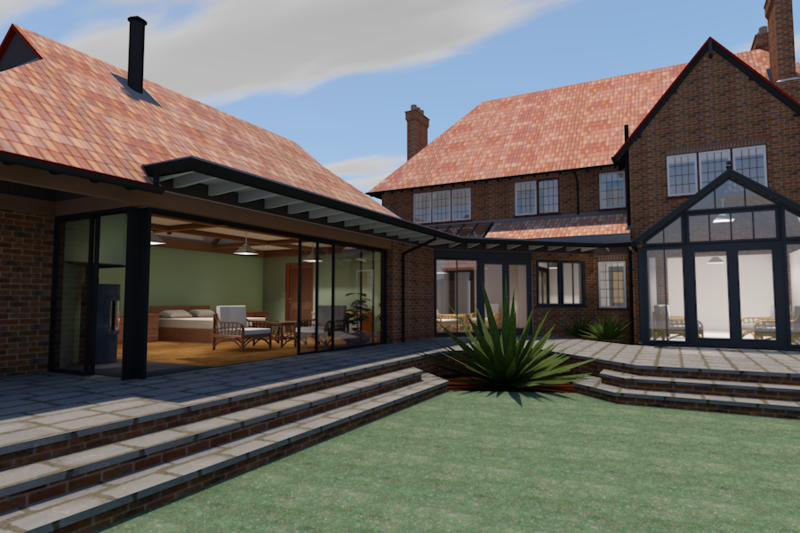 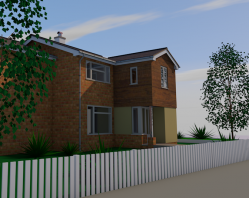 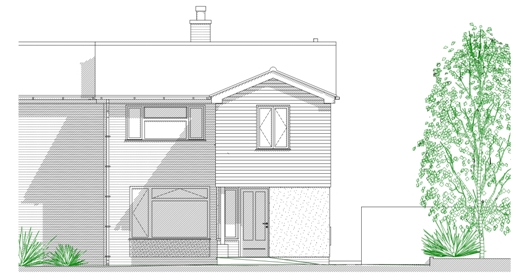 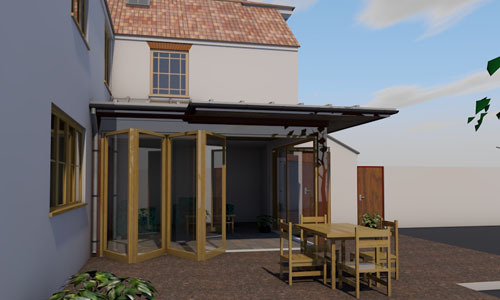 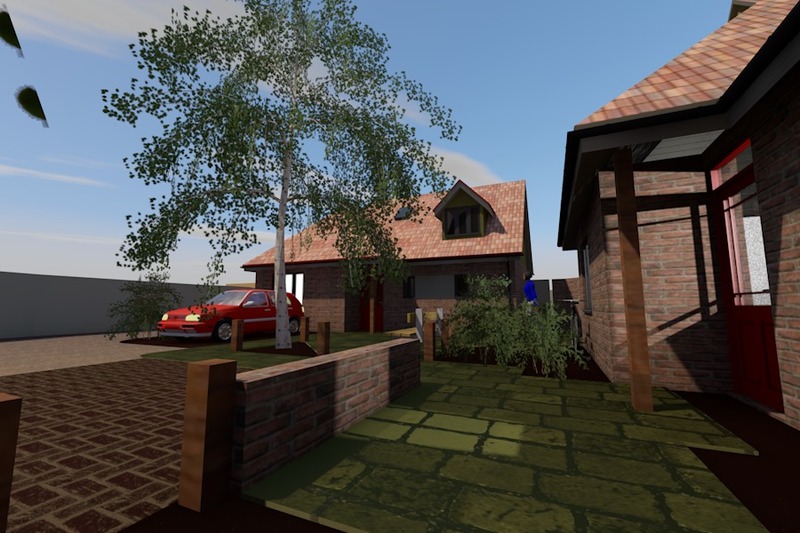 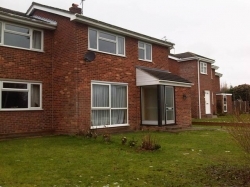 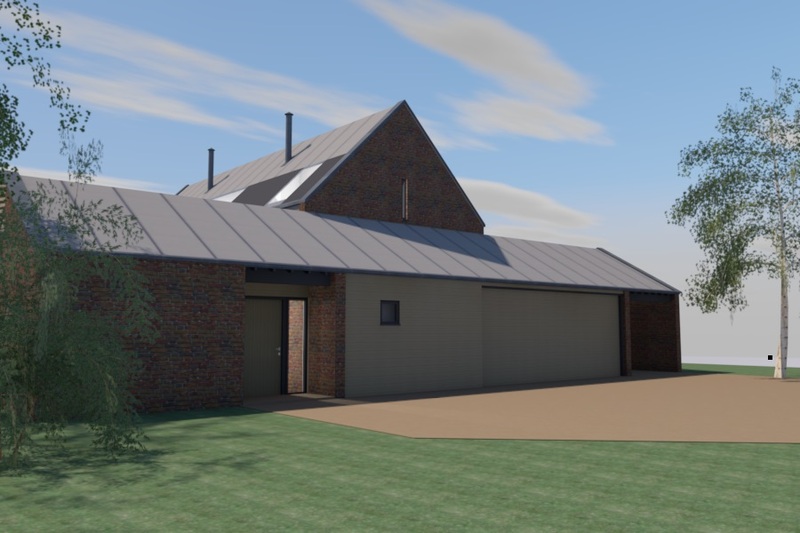 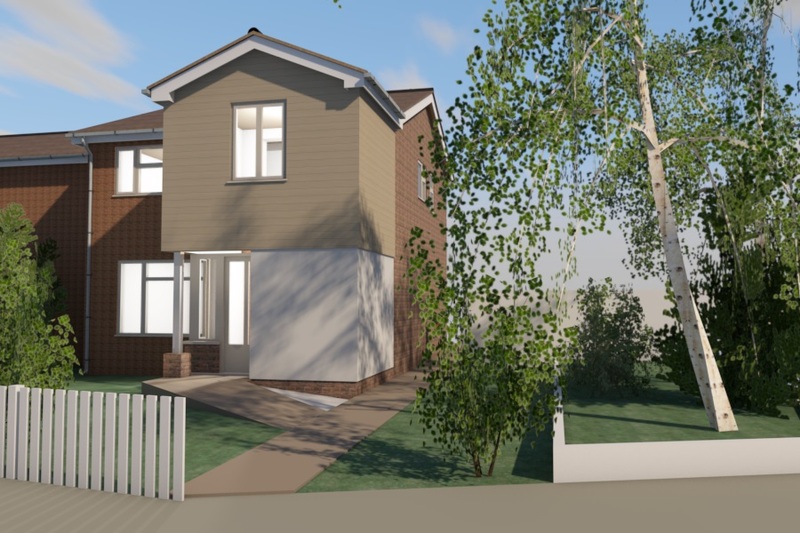 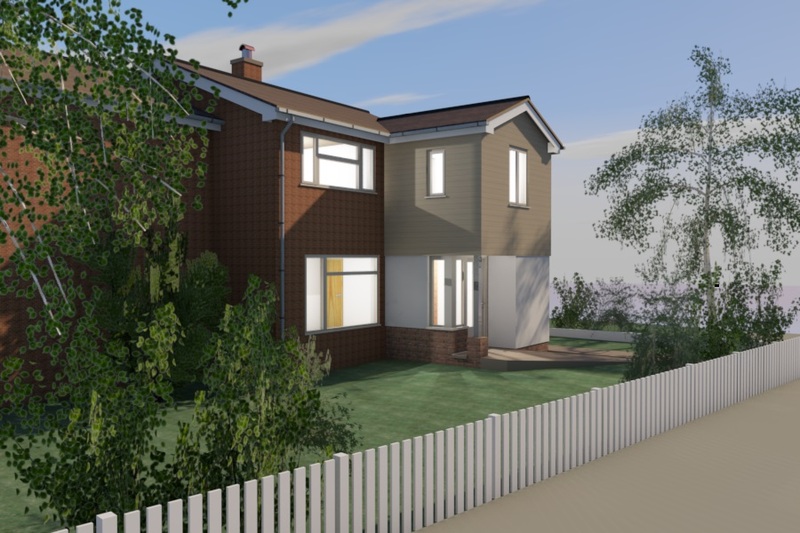 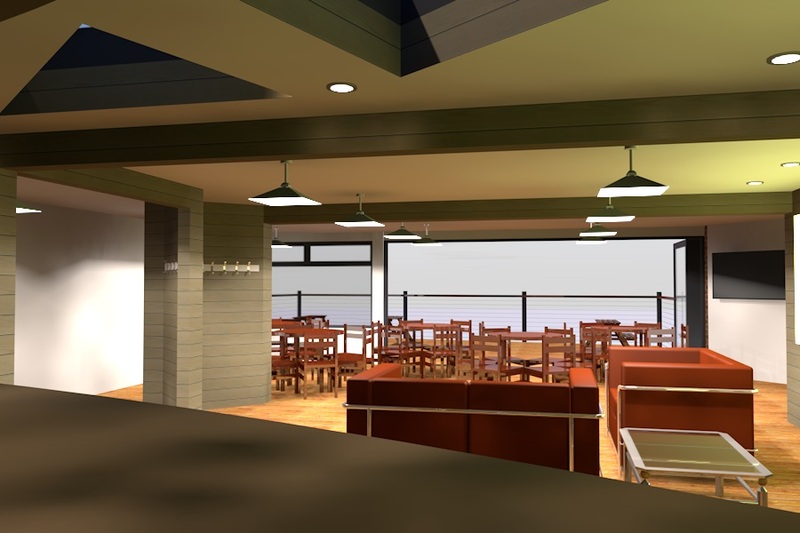 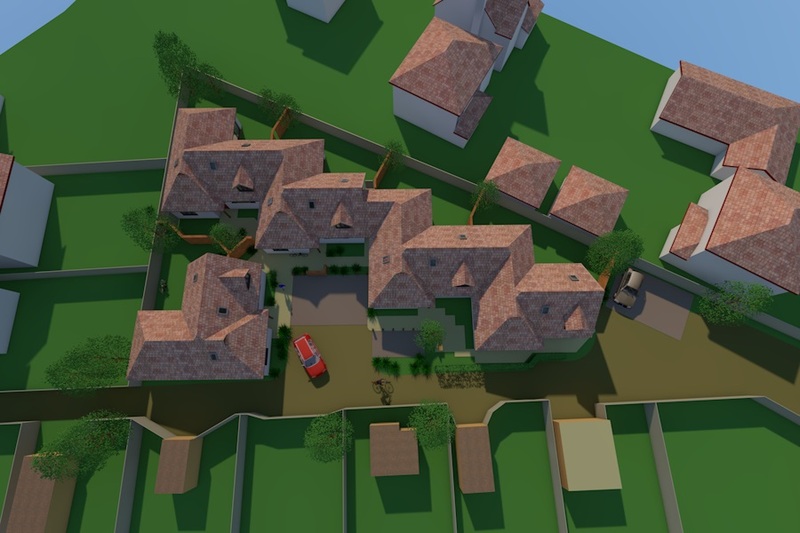 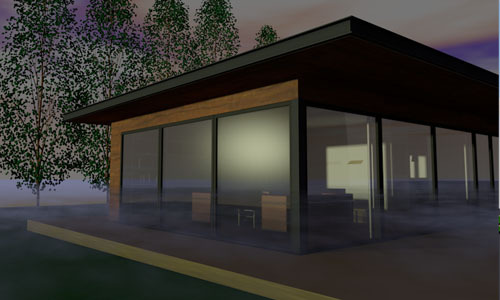 A small extension - Image shown is for a new entrance with a first floor third bedroom to a 1970 style semi-detached house; the extension replaces a single storey lobby and hall. 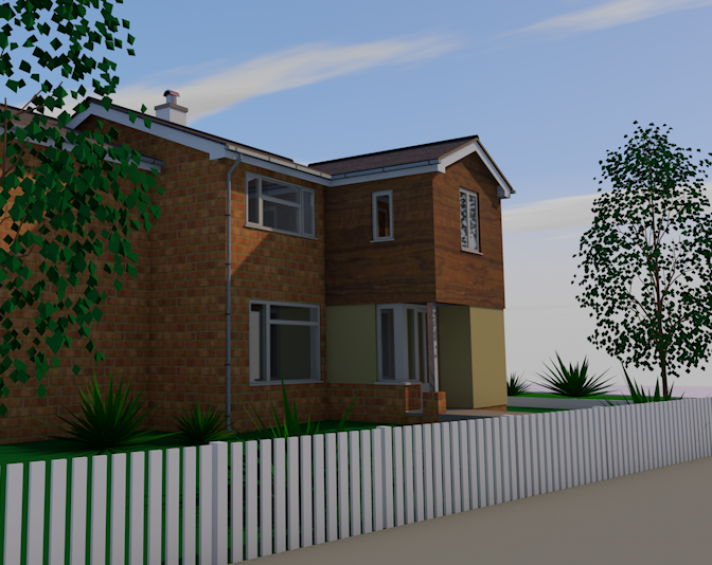 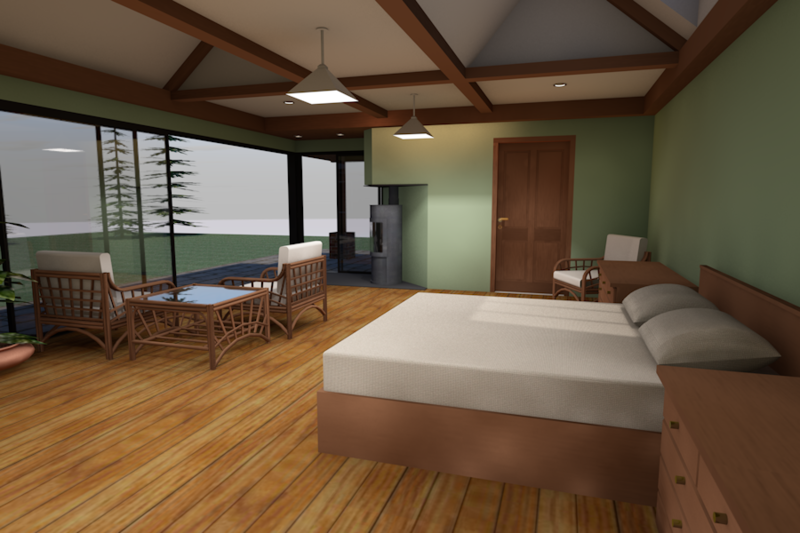 Designed with low maintenance in mind using coloured rendered walls and cedar boarding which provides a long term durable and attractive feature. 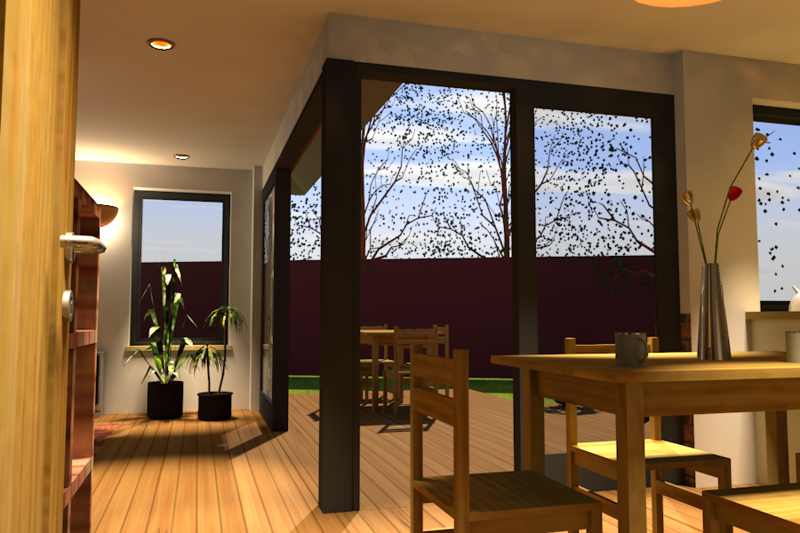 High insulation levels and energy efficient glazing to durable joinery has been used in the construction. 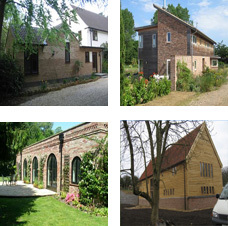 The works were completed in October 2011.